This year has flown by! With just under a month until Christmas (say what?) I have been thinking about some of my family Christmas traditions. I come from a family of food lovers and Christmas was, and is, always a huge event. Christmas Eve is spent eating antipasti – we eat light the night before because we know we are going to over indulge the next day. As we have a late Christmas lunch, we normally start Christmas day with a light breakfast – generally smoked salmon, scrambled egg and croissant. Given that I now live in Melbourne and Christmas is hot, this seems excessive. 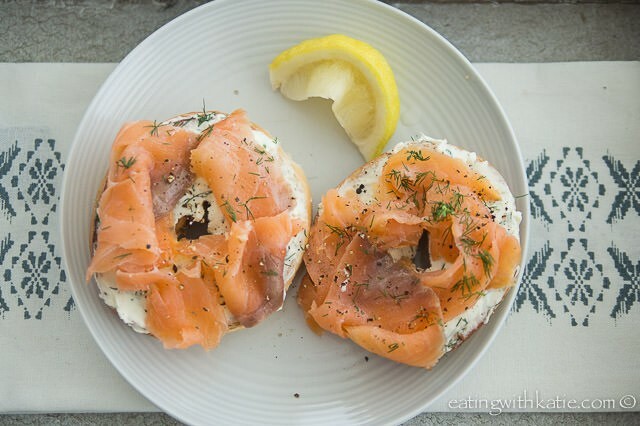 I wanted to keep the smoked salmon part of the breakfast because that was always my Mums favourite part and bagels and smoked salmon are always a winning combination. 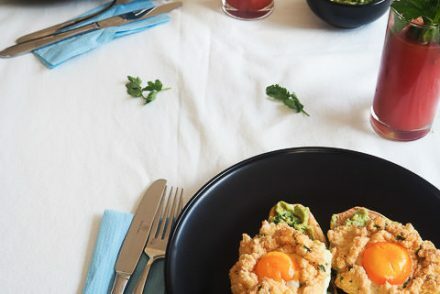 While wondering the supermarket aisles this weekend, a jar of Meredith goats cheese caught my eye, and Nathan suggested that I incorporate it into a bagel. 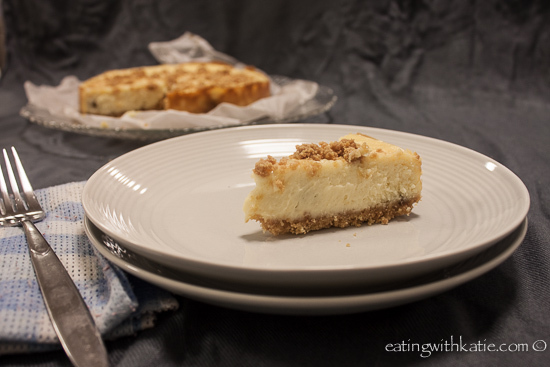 I had some dill in the fridge so I added that, as well as some cream cheese – to make the cheese go further as it is quite costly and so that the sharpness of the cheese was made just a little bit creamier. 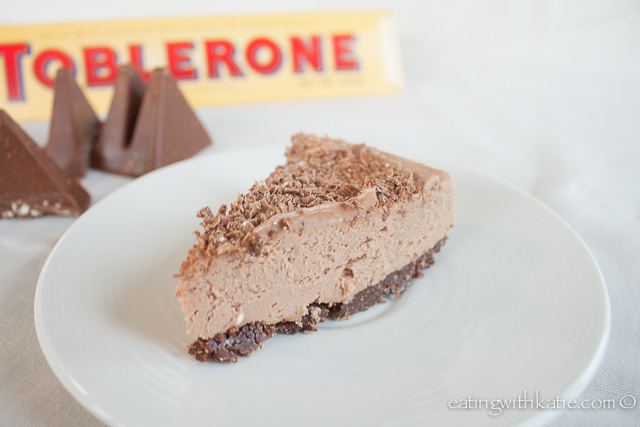 I hope that you enjoy these, whether it be on Christmas Day or on a lazy weekend. 2. 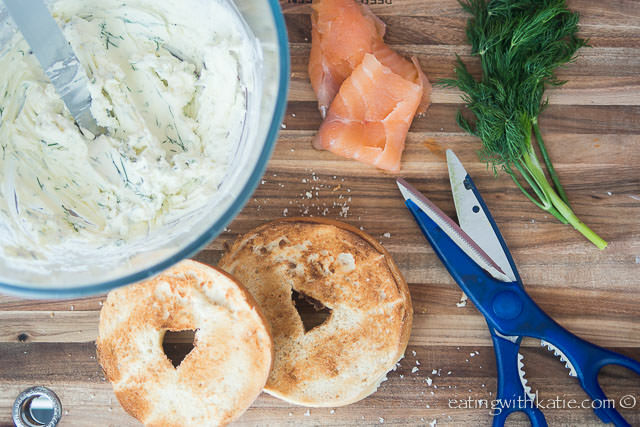 While bagels are toasting, mix goats and cream cheeses with dill until smooth. 3. 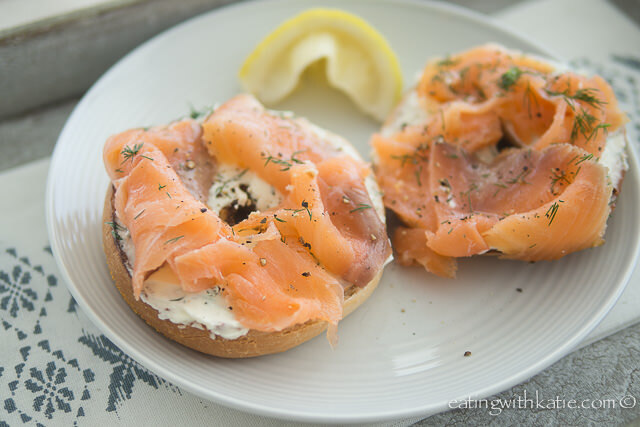 Once bagels are toasted to your liking, spread with goats cheese mixture and top with salmon.